Monrovia -LISCR FC recorded the biggest win of the current Orange-sponsored first division national league with a 9-0 victory over Keitrace FC. Four goals each for Christopher Jackson and Edward Ledlum at the Antoinette Tubman Stadium (ATS) on Sunday with a lone goal from Sam Jackson were enough to take home all three points. The result moves LISCR second on the league table with an advantage goal difference over champions BYC on 15 points each. Sam Jackson scored a stunner from more 20 yards as LISCR warmed-up for league leaders Watanga FC in a clash of the titans at the ATS on Wednesday. On Friday the Shipping Boys again defeated Monrovia Club Breweries 3-1 in the outstanding match due to the two keepers’ absence on international duty with Liberia. On Friday Small Town FC and NPA anchors also played out to a goalless draw while in the day’s first match on Sunday Small Town went down to Jubilee FC 2-1. The win is the church boys’ first of the season. James Thomas put Jubilee ahead in the 48th minute but Joel Santharus equalized in the 64th minute. Small Town’s goalie Mohammed Kaizo gifted Jubilee a golden chance to collect their first three points spilling a loose ball in the way of second half substitute Darlington Weah, who poked home the winner in the 85th minute. 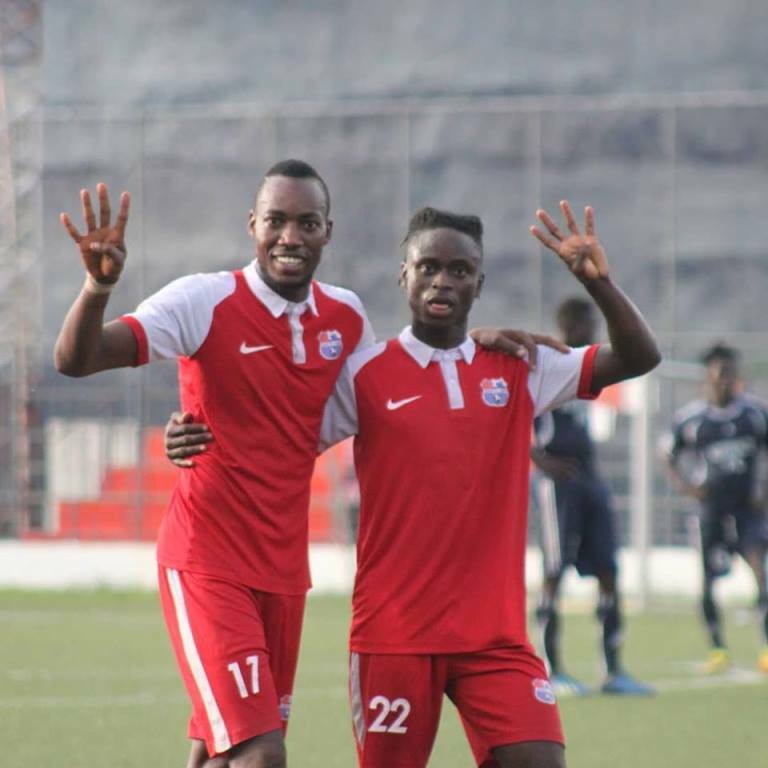 In the second division on Saturday, Pags FC secured a 4-0 victory over President George Weah’s Junior Professional FC. Mark Karlay scored a hat-trick for Pags FC in a 4-0 win over Junior Professionals at the Antoinette Tubman Stadium (ATS) on Saturday. In the last match, Blamah Jill’s equalizer in the 71st minute helped Srimex FC to a 1-1 draw against Nimba County-based Haven Eleven. Haven Eleven started the game with absolute ball control followed by several shots on target but were denied by goalkeeper Sahh Bundor up to the 43rd minute when striker Augustine Dayougar got the match opener through a perfect placement from the right corner. Adama Tockor carried on Srimex’s first goal attempt in the 30th minute after forcefully overpowering two defenders of Haven Eleven but was denied from scoring by goalkeeper Eric Nuah who made a tactical saves. Striker Kwa Gorloryorn almost increased the score to 2-0 in the 68th minute but his shot from the 20th yard travelled over the cross bar minutes later Jill equalized for Srimex in the 71st minute to end the match 1 to 1. Goalkeeper Eric Nuah captained Heaven Eleven, expressed regret for his side 1-1 draw against due to the several goal scoring his forward line did not put into better use. Captain Blemah Jack of Srimex described his side equalizer against the visitor as very important but called on his fellow players to be more focused as they struggle to maintain their status in the LFA Second Division at the end of the league. Meanwhile, Invincible Eleven (IE) failed to show-up for their match away to Nimba Kwadoe in Sanniquellie, Nimba County. Kwadoe will be awarded three points and two goals while IE will be fined L$200,000 in keeping with the applicable provisions of the rules governing the league.